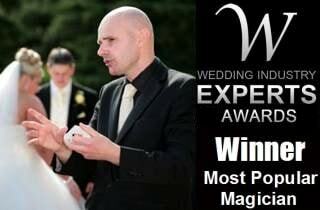 David mesmerises wedding audiences in Coventry and the surrounding area with his incredible magical skills. A party is a fantastic opportunity to amaze your guests with magic. David always mesmerises audiences in Coventry. 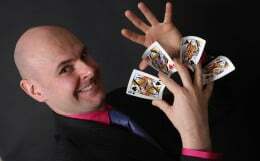 David frequently amazes audiences at Blue-Chip events and is the first-choice magician for many prestigious companies. 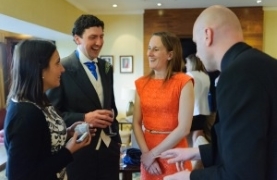 Do you require a top drawer magician for your next event in Coventry? You will be amazed by the sensational magic and illusion of Coventry Magician David Fox. Rest assured. Your party, wedding or corporate function will be truly spectacular and one to remember. David has performed his spell-binding brand of close-up magic at Coventry University and the Britannia Royal Court Hotel. Local clients include: Coventry and Warwickshire NHS Trust and The University of Warwick. David Fox was also delighted to perform his stage show of magic at St Marys Guild Hall in the centre of Coventry.